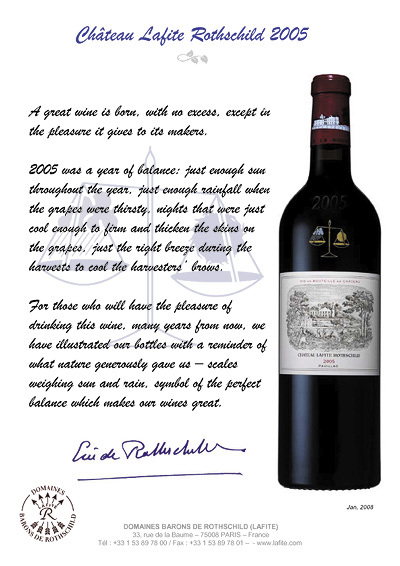 Shown below is Lafite's official announcement of the 'birth' of their 2005. Note the interesting phrase "For those who will have the pleasure of drinking this wine (...)". 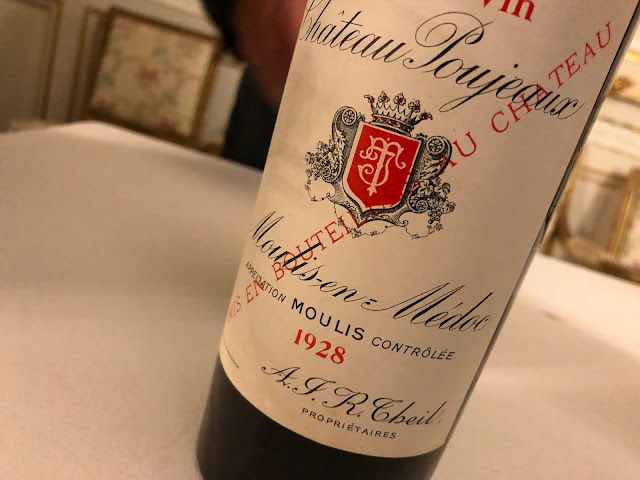 Probably not very many people will have this pleasure: Lafite Rothschild 2005 was initially released en primeur on 21 June 2006 at about € 500,- consumer price, and in the meanwhile the wine has about doubled in price. Precisely that is the other reason for Lafite Rothschild to put an illustration on their bottle: it will help them preventing counterfeit.